When I was a kid, I was always puzzled by the line in Yankee Doodle, “stuck a feather in his cap and called it macaroni.” The only macaroni I knew was the Kraft kind that came in a blue box with a packet of powdered cheese. It wasn’t until later that I finally learned that “macaroni” was 18th-century slang for a dandy, a dude, a sharp-dressed man. The word “macaroni” comes from the Italian word maccherone, meaning a blockhead or fool. Young British dandies who had been on the Grand Tour of Europe came back in fashionable, foppish clothing, sporting around London in tight trousers, short, form-fitting waistcoats with ruffles and braid, and affectations such as walking sticks, spy glasses, and nosegays. 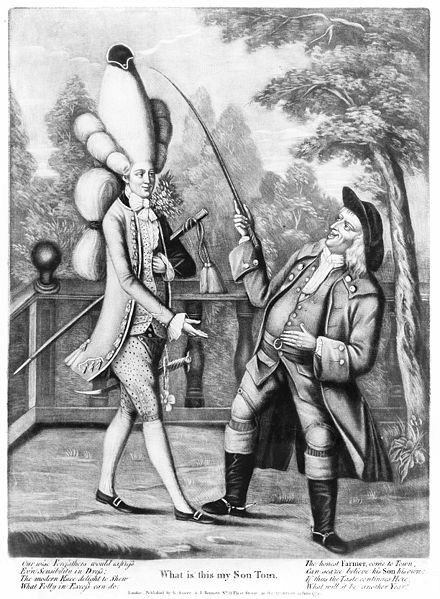 The most extreme members of the “Macaroni club” topped off their high fashion with tall, powdered wigs, often balancing a chapeau bras or a small tricorn precariously on top. Like fashionable youngsters of all eras, the Macaroni caught a lot of flack from their elders. Most Brits were annoyed at the continental high-style, finding it un-British, effeminate and silly. Which brings us back to Yankee Doodle. The song spoofs the backward, hayseed American, who is so out of touch with European fashion that he thinks sticking a feather in his cap qualifies as “macaroni.” Judging by the Continental Army’s enthusiastic adoption of the song, American soldiers weren’t too insulted to be blackballed from the Macaroni club. Of necessity and inclination, American colonists embraced simpler fashions than their European counterparts. This included hair styles that were much more down to earth than the elaborate wigs worn in Europe. 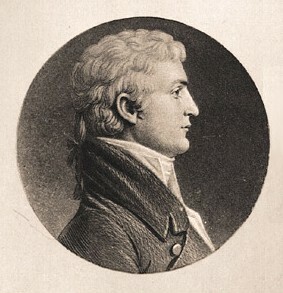 According to the great website Hair and Hairdos of the 18th Century, short hair was the fashion among American men for most of the colonial period. 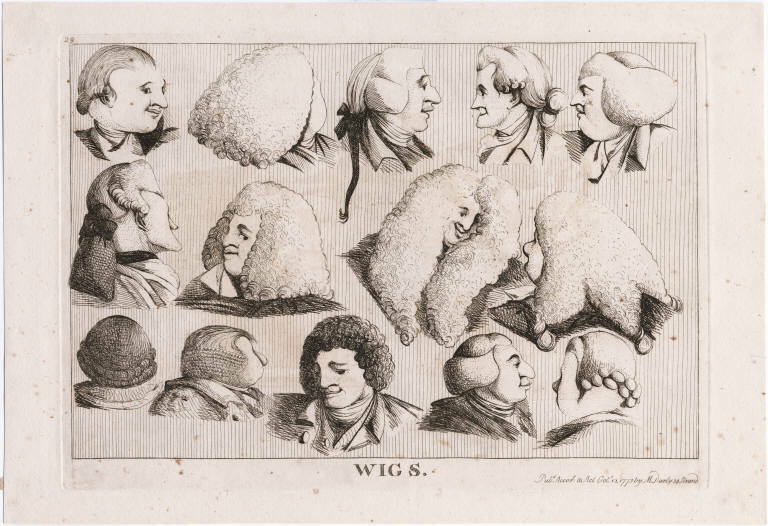 On a dress-up occasion (such as having one’s portrait painted), a man would brush his hair back and either wrap it in a queue or pigtail, or tuck it into a black silk bag called a bourse or bar-wig. Older men, who then as now often didn’t have much hair, wore wigs, and generally powdered them and the hair so that they would all be the same color. Both wigs and hair were greased with hair pomade so that the powder would stick. The best wigs were made with human hair, usually sold by young women who needed money, and for that reason were not necessarily white. The white color comes from the powder, which was made from potato or rice flour and a coloring pigment, and perhaps a perfumed oil. 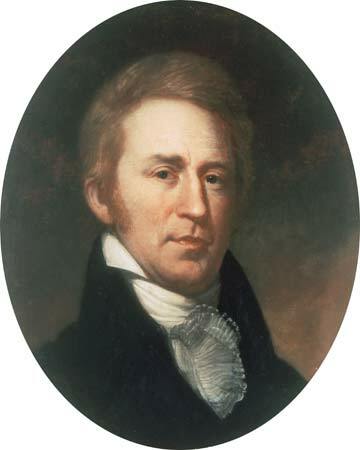 By the time Meriwether Lewis and William Clark were coming of age in the late 18th century, wigs were going out of style and men wore their hair in a more natural look. Thomas Jefferson eschewed wigs while in the White House and wore his hair cropped, though he continued to wear hair powder. 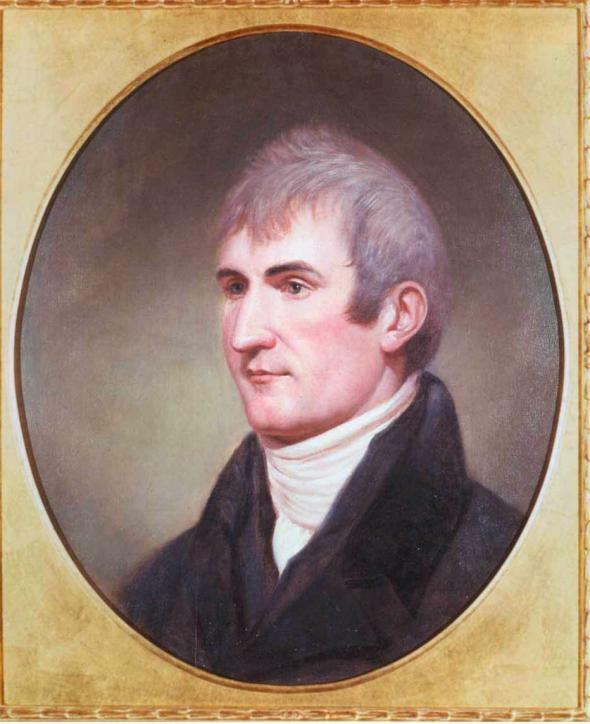 As can be seen from the formal portraits of Meriwether Lewis, the truly fashionable kept the powdered look going. Was Lewis going gray by 1807, or was he still wearing hair powder? Only his hairdresser knew for sure. 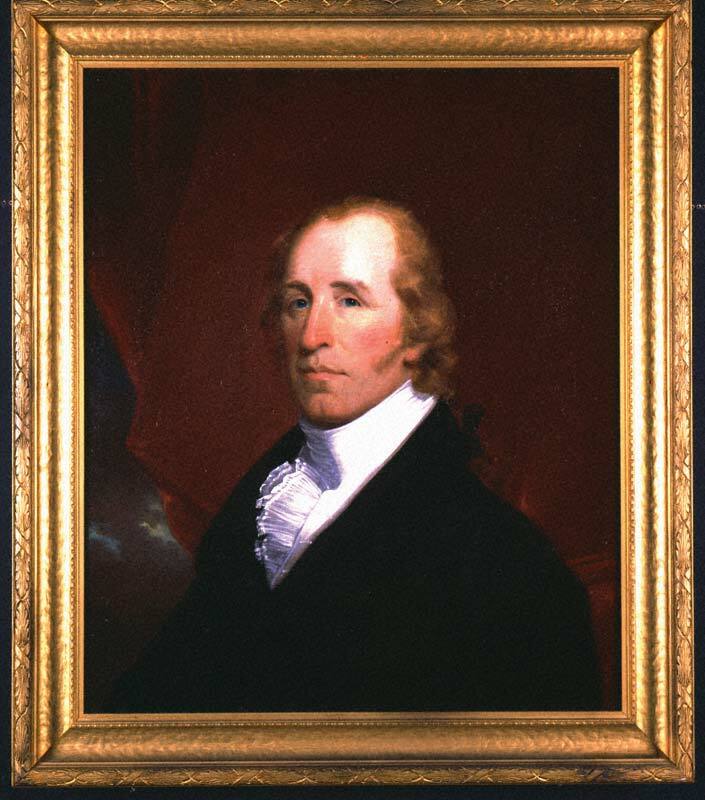 By contrast, none of the portraits of William Clark show him wearing any powder. Then as now, the dictates of fashion were hard to fathom. Check out the Thomas Jefferson Wiki for more interesting discussion on wigs and hair powder. Great post! I wondered about the macaroni when I was young myself.